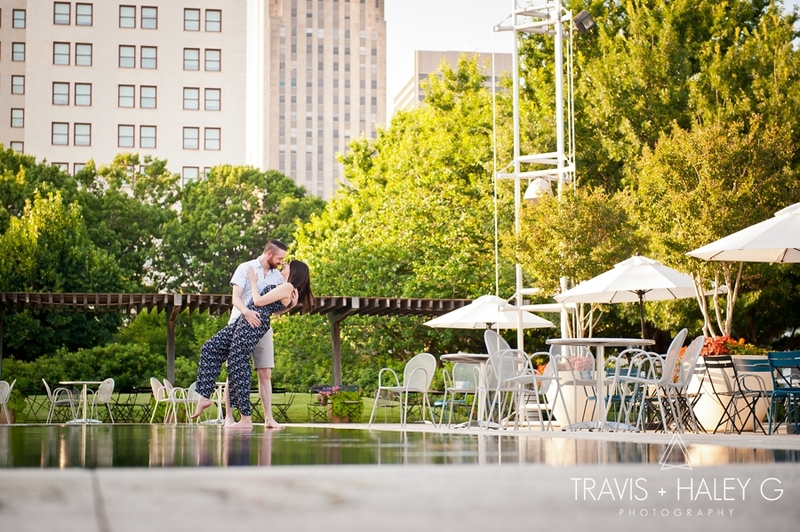 We started J+A’s engagement session around the Myriad Gardens area in Bricktown, Oklahoma City. Having a garden in the middle of our city is so cool. 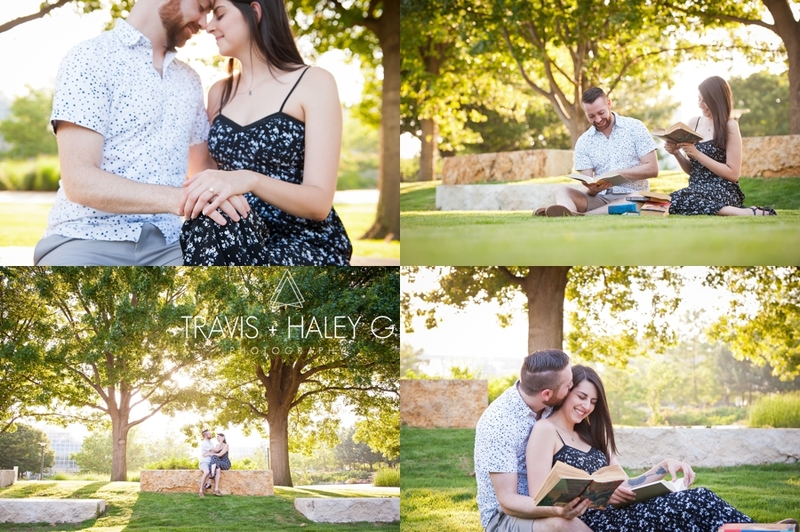 I’d like to think it resembles central park in NYC, haha but on a much smaller scale! Oklahoma City is truly becoming a modern city. And if you didn’t know this already, we just love the modern clean lines of the city with just enough trees and greenery to be warm and inviting! 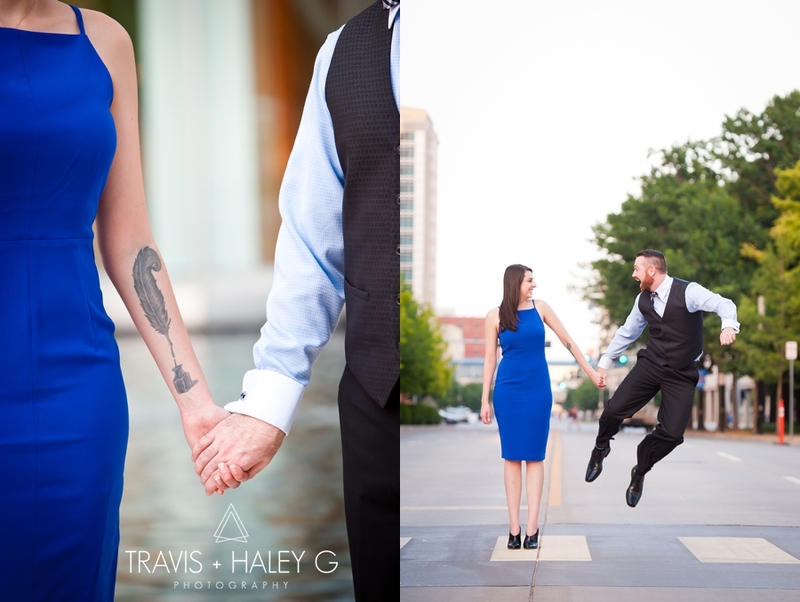 We then headed just across the street in front of the Devon Tower for a few more romantic portraits. 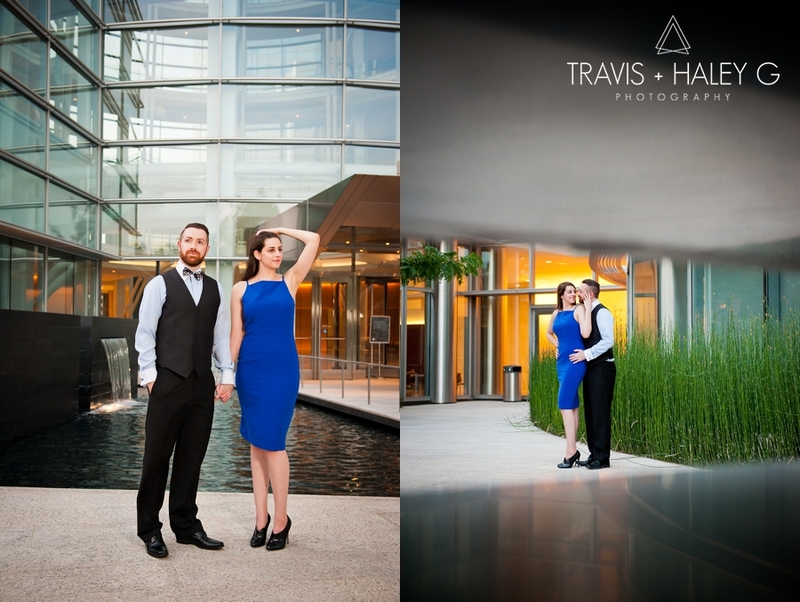 There is so much photographic goodness around the Devon Tower. The modern architecture along with green succulents is just too perfect! As we were concluding our evening with J+A, Travis said, “Alright guys I have a cool idea, just trust me!” Jonny and Alysha had no idea what was about to happen next. 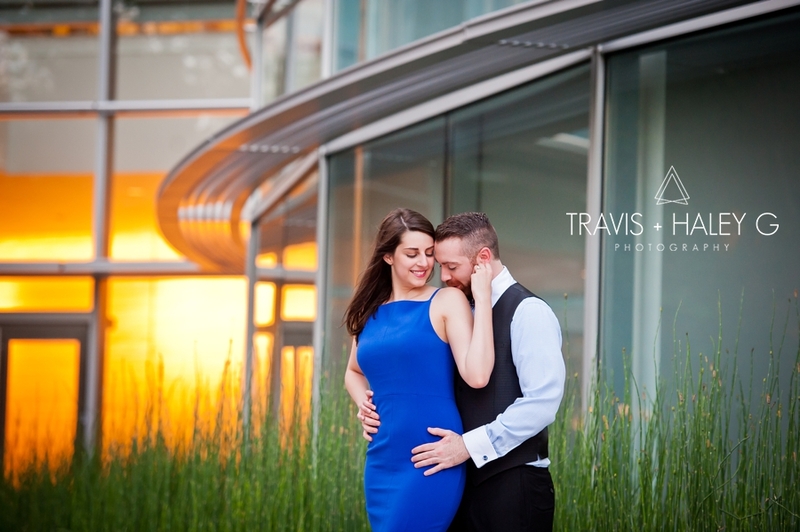 We set up our lighting and took a few photos of J+A holding a romantic embrace in front of a reflection pool! 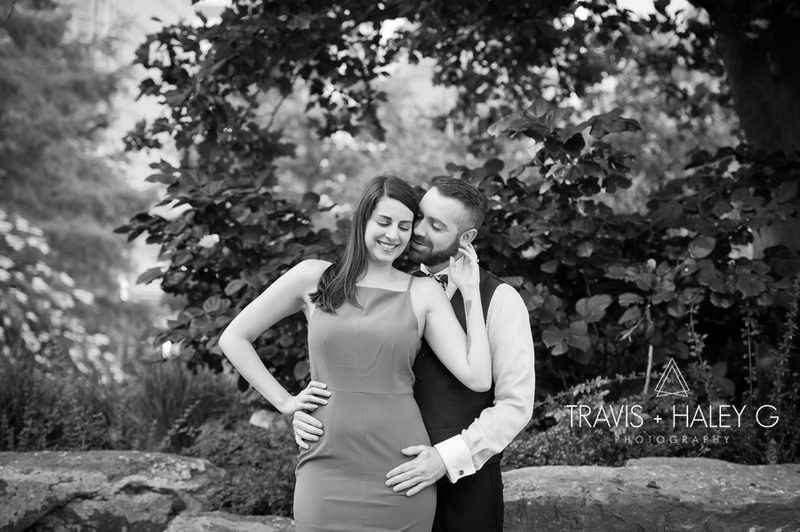 We then showed the couple a quick preview on the back of our camera, and their reaction was priceless, “OMG! Wow, just wow! 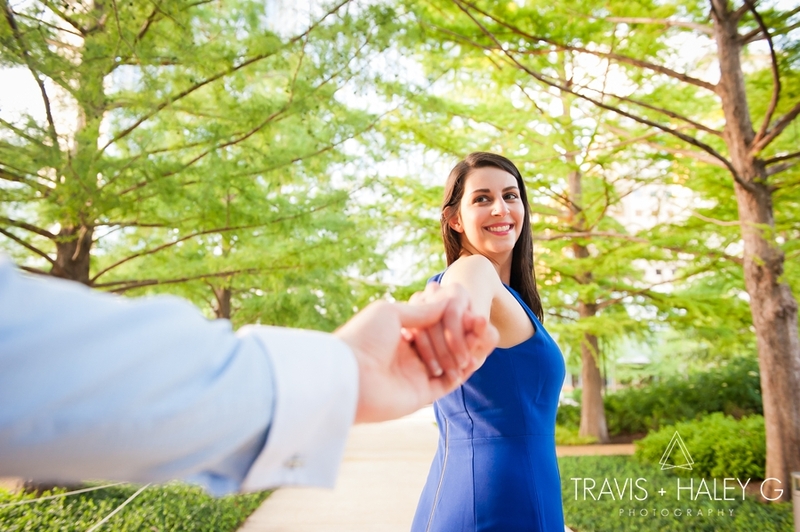 That is so cool!” Those are the moments that Travis and I live for, when our clients are so confident and happy that they trust us with whatever cool ideas we may have! We met at my(Alysha's) 24th birthday party. A mutual friend had brought a group of her friends to the party, including Jonny. We dated for 2 years, and 2 months before the Jonny had proposed. Jonny had this all planned out for months and months. He told me that he and his sister were putting on an improv show for his mom and family and close friends. He even had me do the invites for the show. 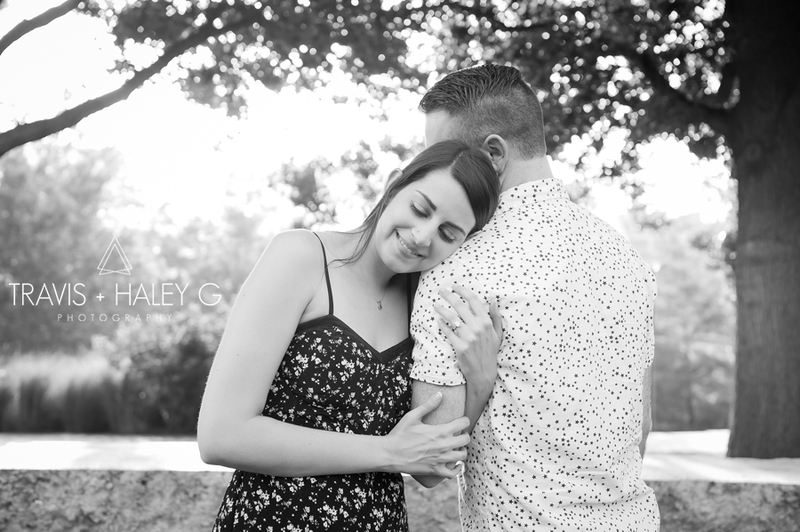 Instead of doing an improv show, they began reenacting special dates and fun moments during the two years we had dated, ending with me on stage and Jonny proposing.